siba 1 month, 1 week ago. Android Oreo 8.1 ROM, Moto G4 / G4 Plus LineageOS 15.1 has now arrived via a development build. This LineageOS 15.1 for Moto G4 / G4 Plus is brought to you by developer tywinlannister7, DaanDanzinho96 and one more build is by Nikit. – No donation link found for DaanDanzinho96 and tywinlannister7. If you want the OFFICIAL LineageOS 15.1 update or some more Android Oreo ROMs then stay tuned to the LineageOS 15 page or the AOSP Android Oreo ROMs devices list page. THIS IS AN INITIAL ALPHA BUILD, WHICH MAY HAVE FEW BUGS. HAVE A BACKUP BEFORE FLASHING THIS AND TRY AT YOUR OWN RISK. Installing a custom ROM on a Moto G4 / G4 Plus (athene) requires an unlocked bootloader on Moto G4 / G4 Plus (athene), which may VOID your warranty and may delete all your data. Before proceeding further you may consider backup all data on the phone. You are the only person doing changes to your phone and I cannot be held responsible for the mistakes done by you. – Here is theTWRP update guide for the Moto G4 / G4 Plus. This TWRP recovery guide requires an unlocked bootloader on the Moto G4 / G4 Plus. 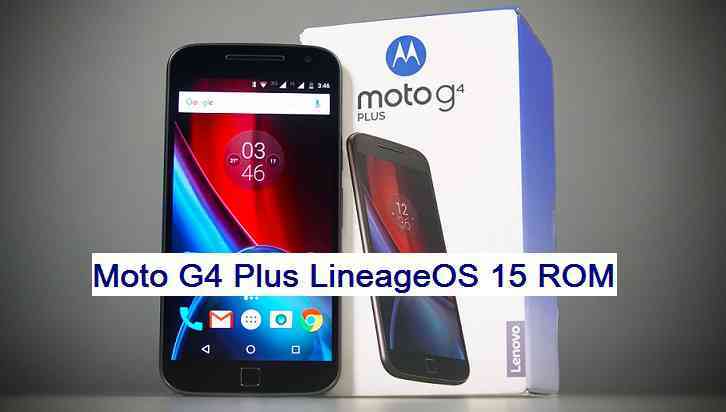 Download and Copy the GApps and Moto G4 / G4 Plus LineageOS 15.1 ROM ZIP to your phone. First flash the Moto G4 / G4 Plus LineageOS 15.1 ROM ZIP from device. Then flash the GApps zip from your device memory. Reboot and Enjoy the Oreo 8.1 LineageOS 15.1 ROM for Moto G4 / G4 Plus. Copy the latest Moto G4 / G4 Plus Lineage 15 ROM ZIP file to your phone. Stay tuned or Subscribe to the Moto G4 / G4 Plus (athene) forum For other Android Oreo, Nougat ROMs, LineageOS 15.1 ROMs, other custom ROMs and all other device specific topics. Does will work in moto G4? Yes, this LineageOS 15.1 is for Moto G4 and Moto G4 Plus both the models. Hola un saludo a todos, soy novato en este tema del root, roms y todo eso, me gustaría hacerle el cambio a mi MOTO G4 XT1625 (versión amazon), sera que este SO es compatible, necesito alguna guía especial para ese modelo? cualquier ayuda es agradecida. Saludos a todos y gracias por su duro desempeño. Hello greetings to all, I am a novice in this topic of root, roms and all that, I would like to make the change to my MOTO G4 XT1625 (amazon version), will this OS be compatible, do I need any special guidance for that model? any help is appreciated. Greetings to all and thanks for your hard performance. Thanks for this link. I have added this link to the downloads list. & which one is great or good…. and is the camera is working great in all 3 roms..
May be, someone who has already used all of the different builds can answer. I would recommend to use the build from the developer which comes frequently.